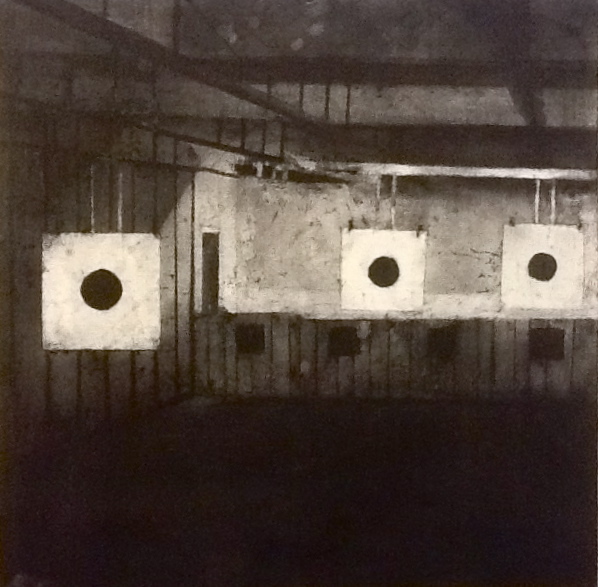 shooting gallery (I) ( 2013), varnish, compressed charcoal on panel, 40 cm x 40 cm. 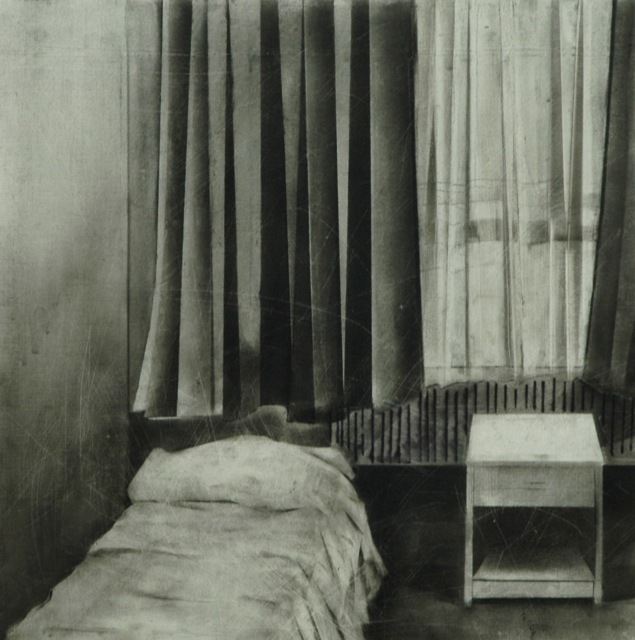 Corridor ( 2013), varnish, compressed charcoal on panel, 40 cm x 40 cm. 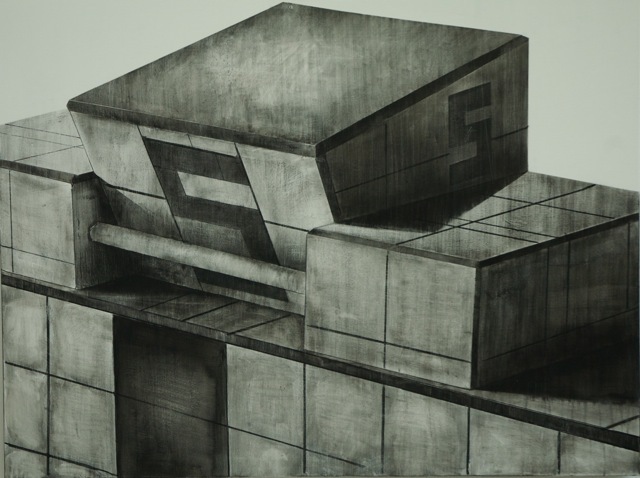 Empty, 2013, varnish, compressed charcoal on panel, 110cm. x 70 cm. 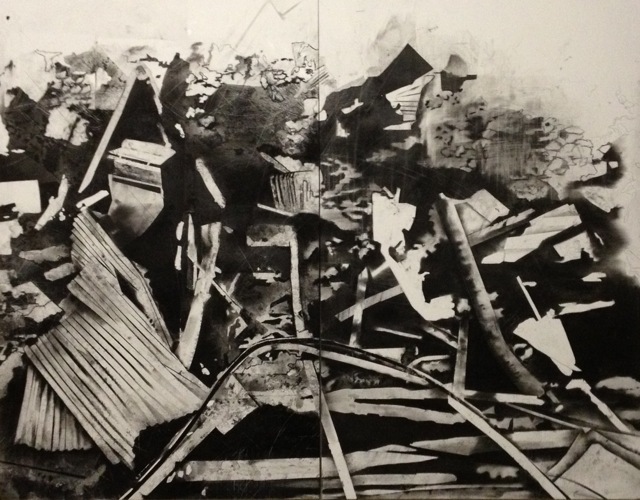 Debris, 2013, varnish, compressed charcoal on panel, 140cm. x 110 cm. 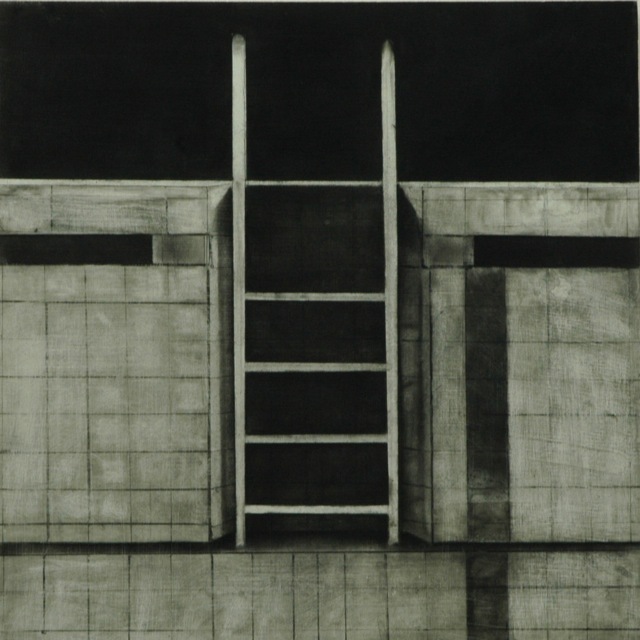 Steps (2012) , varnish, compressed charcoal on panel, 40cm. x 40 cm. 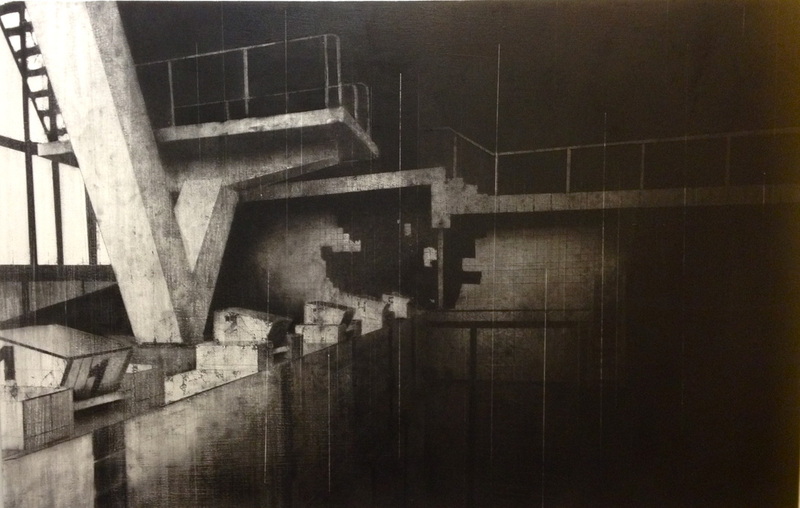 diving board (2012) varnish, compressed charcoal on canvas 116cm. x 98cm. 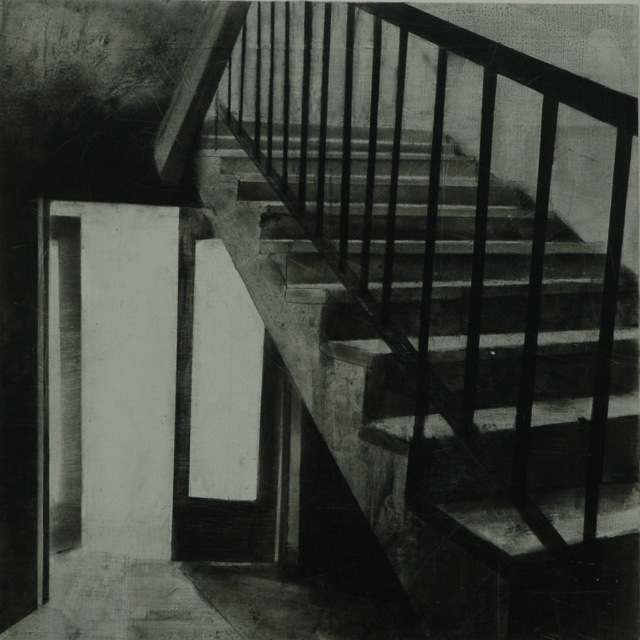 stairs (I), (2012) varnish, compressed charcoal on panel, 40 cm x 40 cm.